Sonam Kapoor ( born 9 June 1985, Mumbai, Maharashtra, India) is an Indian film actress. She has appeared in Bollywood films such as Saawariya (2007), Delhi-6 (2009), I Hate Luv Storys (2010), Aisha (2010) and Thank You (2011). 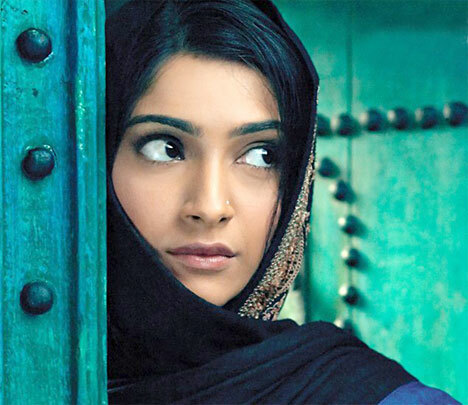 Sonam Kapoor was born and raised in Mumbai. She is the elder daughter of Anil Kapoor and Sunita Kapoor, and the granddaughter of filmmaker Surinder Kapoor.Sonam Kapoor is the niece of producer Boney Kapoor, actress Sridevi, actor Sanjay Kapoor and producer Sandeep Marwah. Kapoor is the eldest of three children; the others are sister Rhea Kapoor and brother Harshvardhan. Sonam Kapoor went to school in Mumbai at the Arya Vidya Mandir school in Juhu and then enrolled in the United World College of South East Asia to do her International Baccalaureate. She speaks English, Hindi and Punjabi, and is a trained dancer.